Mundi Performs at URBAN-15 Saturday, March 21st! Mundi displays a healthy disregard for where the boundaries of folk, classical and rock lie. 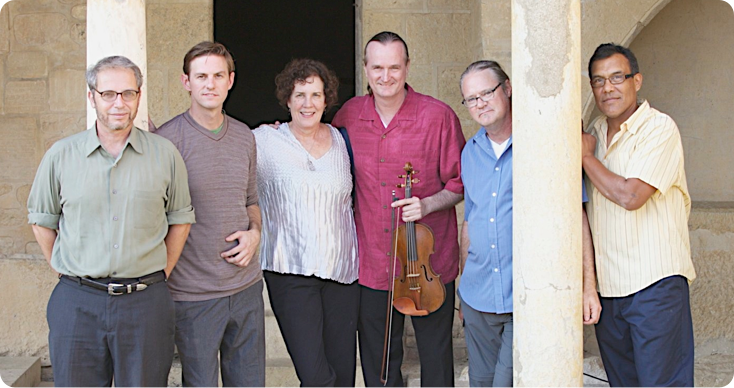 With strings, Spanish guitar, French horn and an arsenal of percussion, this dynamic sextet from Austin, Texas creates a sound that’s rich, celebratory and deeply emotive. The ensemble, led by composer Darrel Mayers, has toured Spain three times, appearing once at the Granada International Festival of Music and Dance. They have also collaborated with poets Robert Bly and Coleman Barks, and the Grammy award-winning choral director Craig Hella Johnson of Conspirare. The band’s favorite descriptions of its sound? “Early music meets global folk at the Penguin Café’ (from an on-line fan review) or, ‘a modern harvest of ancient sounds.’ Click Here to Learn More About Mundi! Listen to the beautiful melodies now! For more information about this event, please call us at 210-736-1500 or email us at events@urban15.org.